For a state with few Plain people, the Amish in Maine sure get a lot of coverage. Over the past several years, we’ve seen news stories on the atypical Amish community at Unity, ME, Amish convert and Unity resident Matthew Secich, the conservative Amish enclave at Fort Fairfield, and the Smyrna Mills community, the state’s oldest. 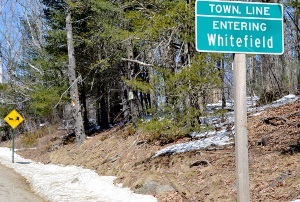 Last year, Maine press outlets began covering a community in the works at Whitefield (Lincoln County). In early April, they sent a letter to one family, the Yoders, expressing that Whitefield would be a good fit for their slower-paced, agrarian-centered lifestyle. Mose Yoder wrote back explaining that his family might not have time to make it to Whitefield on their land-scouting trip but ensured that they would try. This didn’t sound concrete enough for the Chases. So instead of writing back, they took a leap of faith, driving overnight 10 hours to the Yoders’ home in Heuvelton, New York. “We hopped in the car and drove there and landed on their doorstep and said, ‘We’re the Chases, we’re from Maine,’” Robin Chase recalled while sitting in her kitchen this week. The leap of faith worked. Over the past eight months, the Chases have acted as point people for the Yoders and other Amish families looking to settle in Whitefield. In June the Yoders closed on a 64-acre plot of land just across the Sheepscot River from the Chases’ home. “That’s quite an interesting thing how we’ve come together. I almost want to say it was meant to be. I guess it was meant to be because it’s happening,” Mose Yoder said. Mose Yoder and his wife Anna moved to Whitefield about two weeks ago. Since it sounds like they are technically the only families there now, this won’t officially be a “settlement” until a few more souls show up. But more are expected next month, and a school is planned for the fall. Today the Whitefield group gets a profile courtesy of the Lincoln County News. The piece is an introduction to the new residents, mainly via comments from Mose Yoder, plus general information about Amish culture and beliefs. The Whitefield area has been preparing for the new Amish residents for some time. A potluck meal introduced the Yoders to the community. There are already yellow buggy warning signs on the roads. Robin Chase is described as “proud of her community” for the welcome they’ve shown. This is not always the case when Amish move to new areas. 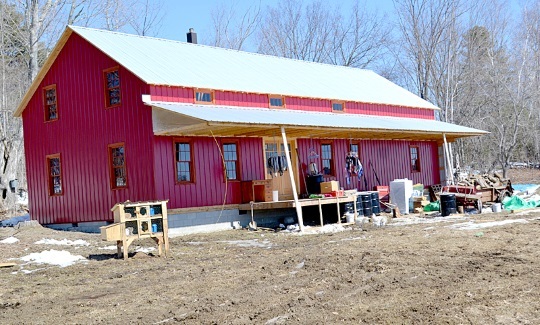 Besides farming, the Yoder family plans to have a sawmill and furniture shop – a typical mix of businesses. This is the third article on an Amish community which technically is still being created. This coverage and positive non-Amish response bodes well for the fledgling settlement’s prospects, since Amish are not isolated from their surroundings, but often thrive in part due to their interaction with outsiders. Note: If you entered last week’s contest for an autographed copy of The Return, we have chosen a winner. This is such an article of goodness. Goodness of people, goodness of community, goodness of land. Believe in goodness, Act in goodness, Trust in goodness and it will happen, always has, always will. The county where I live was once highly agrarian, with thousands of acres of farmland still “intact” and being farmed (though less each year). I often pass some of it (farms) and think how I wish the Amish could settle there (hopefully maintain and even increase local farming). I admire and thank the Chases for their idea of bringing the Amish to their area. I doubt it could work here, but who knows? If nothing else, the Amish lifestyle might encourage other residents to slow down and enjoy life more. Yes by the sound of this and the previous article, they were clearly very motivated to get an Amish community in their neck of the woods. Since meshing with local non-Amish community is on the list of concerns for new settlers (though not as high as things like land prices) doing things to make the new settlers feel welcome surely helped open the door. The Chases have several hundred acres of their own some of which they want to sell which may also be part of the motivation, but it sounds like not the main one as they don’t seem to be pushing their land on the new arrivals. I was impressed that they even made a down payment on a property that they thought one of the families would like, without clearing it with them first. They could have lost a nice chunk of cash if the family didn’t love it as much as they thought they would. As it happily turned out, they did. I was told that you work for others outside your community, that your charge was reasonable and your work excellent.